Thirty years after his death, Hynek’s agonizing transformation from skepticism to true believer remains one of the great misunderstood stories of science. 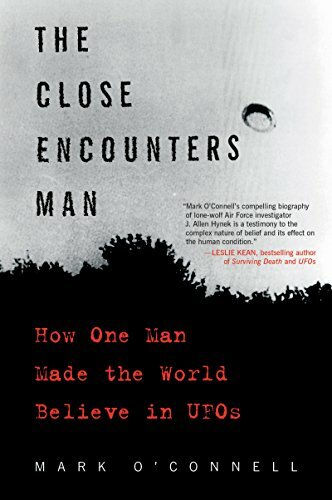 In this definitive biography, Mark O'Connell reveals for the first time how Hynek’s work both as a celebrated astronomer and as the U. S. Air Force’s go-to UFO expert for nearly twenty years stretched the boundaries of modern science, laid the groundwork for acceptance of the possibility of UFOs, and was the basis of the hit film Close Encounters of the Third Kind. With unprecedented access to Hynek’s personal and professional files, O’Connell smashes conventional wisdom to reveal the intriguing man and scientist beneath the legend. Tracing Hynek’s career, O'Connell examines Hynek’s often-ignored work as a professional astronomer to create a complete portrait of a groundbreaking enthusiast who became an American cult icon and transformed the way we see our world and our universe.